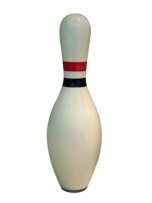 Bowling Oil Patterns will affect the way a ball moves down the lane. 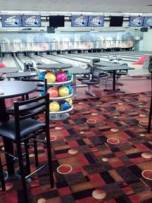 Bowling oil patterns range from difficult competitive patterns, to easier recreational patterns. Oil is laid from a lane machine in different concentrations along the lane, by programming the units of oil as they will be concentrated in different zones of the lane. 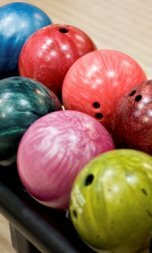 Brunswick has a guide to the basic 3C's that create an oil pattern affect. These include the cloth used on the machine, the cleaner (that strips the oil from the lane), and the conditioner (the oil).